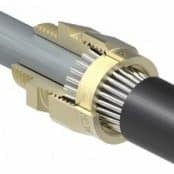 Prysmian Group are world leaders in the power, energy and telecom cables and systems industry – providing LV MV HV cable accessories including cable glands for underground, submarine, power transmission and distribution. 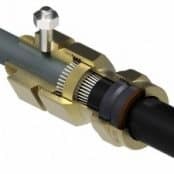 Cable glands provide sealing and termination to all types and voltages of power, control, instrumentation, data and telecoms cables. T&D distribute the complete range of Prysmian Cable Glands for the termination of LV-HV cables in industrial, hazardous area and medium/high voltage applications. 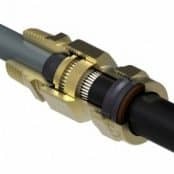 The Prysmian Bicon range of cable glands have been designed and tested with the Prysmian Group cable products and are the recommended and preferred method of termination for all Prysmian and Draka cables. 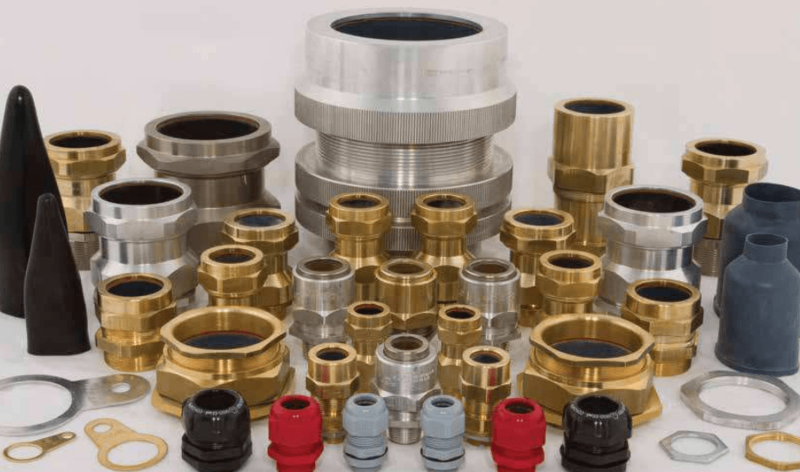 Cable glands are manufactured in either aluminium, brass or nylon as standard with electroless nickel plated brass option providing watertight sealing of cables with armour continuity, mechanical retention and explosion and flameproof protection for cables and electrical equipment installed in hazardous areas. 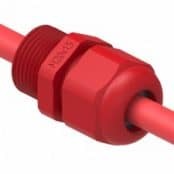 When installing fire resistant and Low Smoke Zero Halogen (LSOH) cables it is critical that the cable glands and accessories installed satisfy the same specification requirements as the cable. Thus, the cable gland does not impact on the electrical system performance due to toxic smoke and gas emissions in the event of a fire. As the world market leader in both of these types of cables Prysmian is able to provide specific cable glanding solutions – this includes Prysmian FP, Afumex, FT and Saffire cables typically glanded using LSOH cable glands. 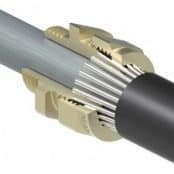 This includes London Underground Specification 1-085 (A3) cable glands which specifies that combustible materials should not contain halogens, nitrogen or sulphur and have zero toxic emission risk. Nylon cable glands, for example, contain nitrogen which, during a fire, can produce toxic gasses such as ammonia, mixed oxides of nitrogen and small amounts of hydrogen cyanide. The materials used in Prysmian Bicon LSOH cable glands are not only halogen free but do not contain any other elements likely to result in toxic gas emission. 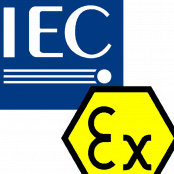 Prysmian glands and explosion proof cable connectors are specified by the hazardous area industries with ATEX and IECEx certifications for terminating cables in Zone 1 and Zone 2 explosive atmospheres. 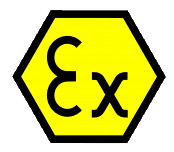 Where cable glands are installed in hazardous areas and explosive atmospheres it is critical the glands are selected according to the installation code or standard requirements. ➡ View below the complete range of cable glands manufactured by Prysmian.